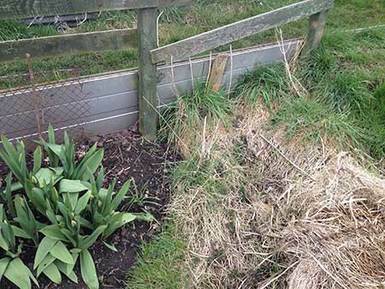 A patch of weeds might seem an unsightly pest to many allotmenteers, but it is a safe haven to the insects, birds and animals trying to set up home on our plots at this time of year. When tidying your plot this spring, spare a thought for those we share with. Find a corner (a couple of metres square will do) and leave it to long grass, nettles and other insect attracting weeds. This will ensure a safe haven for the pollinators and predators we need to help us on our ‘cultivated’ areas. Bumble bees and butterflies particularly need these patches, the former for nesting—burrowing in shallow hollows in the earth among roots— the latter for shelter and nectar collecting. This practice does not encourage the less welcome creatures—like slugs (many of whom live in the earth among our crops, and snails for whom piles of stones, bricks, rubbish heaps and nooks and crannies left undisturbed are the spots they head for after gobbling fresh seedlings. Keeping the plot free of these habitats will keep them at bay.